Several lattice collaborations performing simulations with 2+1 light dynamical quarks have experienced difficulties in fitting their data with standard N f = 3 chiral expansions at next-to-leading order, yielding low values of the quark condensate and/ or the decay constant in the N f = 3 chiral limit. A reordering of these expansions seems required to analyse these data in a consistent way. We discuss such a reordering, known as Resummed Chiral Perturbation Theory, in the case of pseudoscalar masses and decay constants, pion and kaon electromagnetic form factors and K ℓ3 form factors. We show that it provides a good fit of the recent results of two lattice collaborations (PACS-CS and RBC/UKQCD). We describe the emerging picture for the pattern of chiral symmetry breaking, marked by a strong dependence of the observables on the strange quark mass and thus a significant difference between chiral symmetry breaking in the N f = 2 and N f =3 chiral limits. We discuss the consequences for the ratio of decay constants F K /F π and the K ℓ3 form factor at vanishing momentum transfer. P.A. Boyle et al., K→π form factors with reduced model dependence, arXiv:1004.0886 [SPIRES]. C. Bernard et al., Status of the MILC light pseudoscalar meson project, PoS(LATTICE 2007)090 [arXiv:0710.1118] [SPIRES]. The MILC collaboration, A. Bazavov et al., Results from the MILC collaboration’s SU(3) chiral perturbation theory analysis, PoS(LAT2009)079 [arXiv:0910.3618] [SPIRES]. RBC collaboration, R. Mawhinney, NLO and NNLO chiral fits for 2+1 flavor DWF ensembles, PoS(LAT2009)081 [arXiv:0910.3194] [SPIRES]. J. Bijnens and I. Jemos, Determination of Low Energy Constants and testing Chiral Perturbation Theory at order p 6 (NNLO), PoS(CD09)087 [arXiv:0909.4477] [SPIRES]. TWQCD collaboration, J. Noaki et al., Chiral properties of light mesons with N f = 2+1 overlap fermions, PoS(LAT2009)096 [arXiv:0910.5532] [SPIRES]. 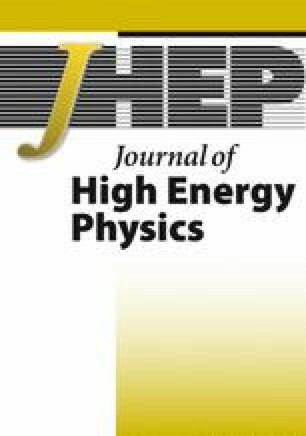 Flavia Net Working Group on Kaon Decays collaboration, M. Antonelli et al., Precision tests of the Standard Model with leptonic and semileptonic kaon decays, arXiv:0801.1817 [SPIRES].